Peggy J. Smith, age 67, of Seaford, DE passed away on Saturday, November 10, 2018 at the Delaware Hospice Center with her family surrounding her. She was born to the late Keith and Alma Smith of Johnsonburg, PA on Feb. 6, 1951. Peggy grew up in Johnsonburg, PA and graduated from Johnsonburg Area High School. She received her Bachelor of Science degree in secondary education/mathematics from Clarion State College, Clarion, PA and her Masters of Education from Salisbury University, Salisbury, MD. 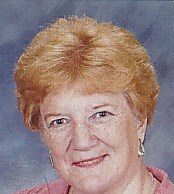 Ms. Smith taught high school mathematics for 38 years. She taught at Colonel Richardson High School, Federalsburg, MD for 6 years, one year at Reno H. S, Reno, NV and her last 31 years were spent at Seaford H. S., Seaford, DE. She was Teacher of the Year for 2 different years at Seaford High School. She was nominated for Who’s Who Among America’s Teachers on 4 different occasions. Ms. Smith was also awarded Teachers Who Make A Difference award sponsored by University of Maryland Eastern Shore, Pepsi and Delmarva 47 News. Peggy was very passionate about teaching high school mathematics. She was involved in many school activities. She was the math department chairperson for the last 10 years of her career. She coached a total of 48 seasons of football, basketball and wrestling cheerleaders. Peggy also was the class advisor to the classes of 1987 and 1996. She was the advisor of the National Honor Society for 1 year, worked with Student Government and NJROTC. She took tickets at the football games, helped with crowd control at the basketball games and helped time the track meets. She worked backstage on the grand march for the prom for many years and also helped judge the Homecoming floats for many years. She was an avid supporter of all the students at Seaford H.S. She was also involved with Relay for Life for about 7 years. Peggy also loved to travel. She went abroad and saw several different countries, going to Australia 4 times which was the birthplace of her mother. She also travelled extensively throughout the United States. Her sisters usually reaped a sweat shirt from each city she visited in the U.S. On many of these trips she was accompanied by her very close college friends. Thanks ladies for coming along. Peggy was also involved in volunteering with her church, St. John’s United Methodist Church of Seaford, DE. She helped count money after the church services, was part of the alter guild committee, was a greeter and an usher when needed. She helped with the food pantry and volunteered with registration for the 1000 dinners given away at Thanksgiving. Ms. Smith was preceded in death by her parents Keith and Alma Smith and sister-in-law, Lori Smith. She is survived by 3 sisters; Victoria Monroe (Ray), Shirley DeStephano (Chuck), Cindy Esham (Jerd Duchi) and 2 brothers; James Smith (Fran) & Richard Smith. She is also survived by her special loving niece Nicole Esham and her 2 sons, Noah and Colin, along with many other nieces, nephews, great nieces and nephews, 3 aunts and 1 uncle. A celebration of life will be held at St. John’s United Methodist Church, Seaford, DE on Saturday, November 17th at 11am. There will be a visitation from 10 to 11. Interment will be in the Methodist cemetery in Johnsonburg, PA. Ms. Smith will be buried with her parents. In lieu of flowers, the family would request you send donations to: Tunnell Cancer Center, 18947 John J. Williams Hwy., Rehoboth Beach, DE 19971 or St. John’s United Methodist Church, 300 N. Pine St., Seaford, DE 19973.